What little boy wouldn't love his very own Power Ranger Battle Buddy? I know mine would! Not only can your child battle with their buddy but they also talk and make awesome battle sounds! Each Battle Buddy is 18 inches. Get ready for battle with the Super Samurai Power Rangers Battle Buddies! Samurai Rangers...Victory is ours! "Hey! Hey Player! What kind of throw was that?!" Prepare to be annoyed by the Annoying Orange Fresh Talking Target Game. 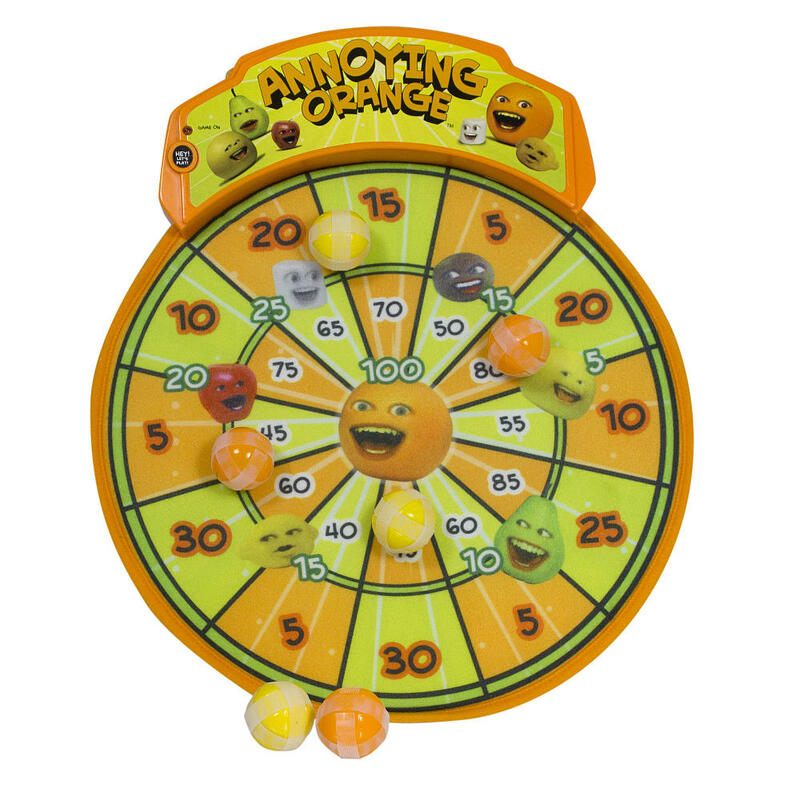 Everyone loves throwing darts…and now you can play with the Annoying Orange target board where you have a really annoying target and a compelling game! Description: Take aim at an annoying target with the Annoying Orange Fresh Talking Target Game. You can easily hang the board in any desired location…and let the playing begin! Annoying Orange and the Kitchen Crew challenge players with funny jokes and heckles like, “Hey! Hey Player! Do you have grease on your hands? !” This set includes six balls for endless play (and great for multiple players). Requires 3 AA batteries (included).